Professional batting coaches will tell you the vast majority of technical errors they see in all shots start with something in a batters setup. Yet the player is not even aware they are making a mistake. Do you recognise any of these errors in your game? Poor footwork or "stuck" in the crease. Closing the face of the bat too early or playing across the line. Getting out LBW too much. Restricted in your range of shots. Each error can be put down directly to something in your essential setup. Each error is discussed and solved in this course. Poorly chosen grip, stance and backswing are holding you back. A good setup moves you forward. A perfectly chosen setup will let you stay at the crease for longer when the going is tough, score runs more easily when the wicket is flat and will get you to levels you never thought possible. It's the kind of thing that has never been talked about before outside of the inner circle of the professional game. Now you can know what I teach to the pros. The videos and worksheets will enable you to construct a perfect setup. Additionally, as part of the course I’ve provided you with a membership to our private, members-only page, where you'll be able to ask questions and discuss all things batting with me, my expert assistant coaches and fellow members already online from all around the world. 90% of technical flaws begin in the setup. How perfect is yours really? 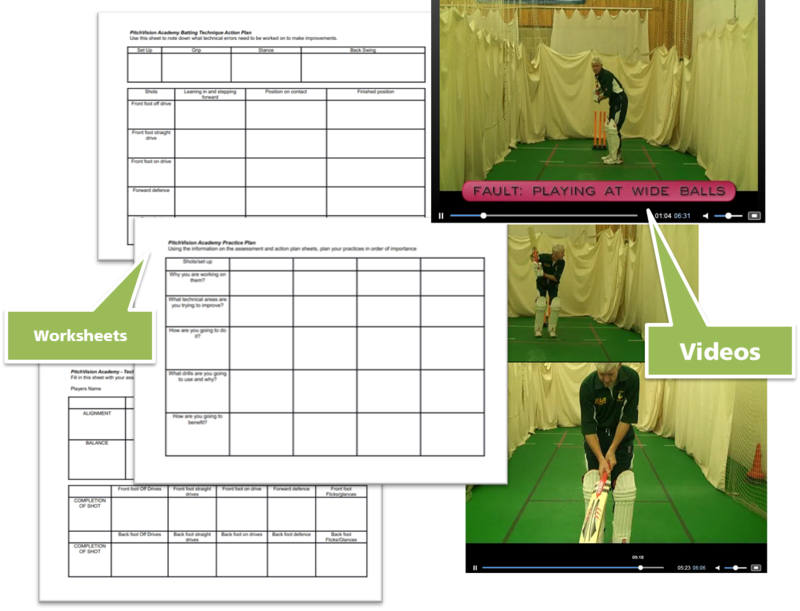 This free sample of the Batting Mechanics eBook includes photos and explanations of the grip, stance and backlift for you to download, print and take to the nets. We discuss foot, shoulder and head position in the stance. Should you be open, closed, wide stanced or somewhere in-between? Like a golfer, the swing is the most important thing to a batter. Here we discuss how to align the swing correctly for timing and power. (7m 30s). In this short video we look at the two types of backswing that batters use. (1m 19s). As a free preview of the forthcoming trigger moves course, Gary gives you a guide to trigger moves against seam and swing bowling.